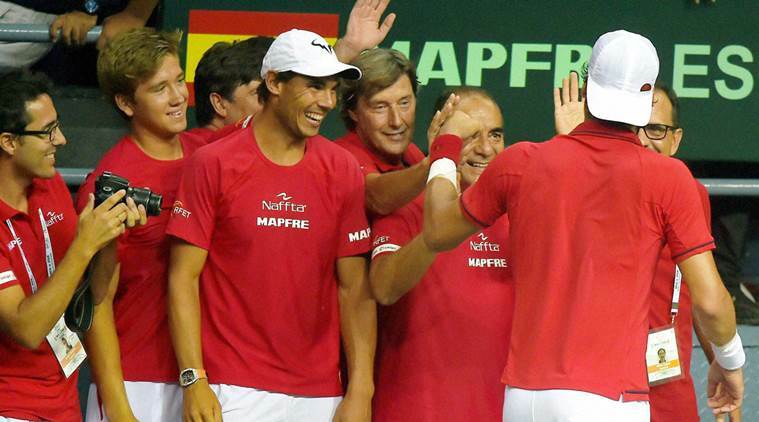 Five-times Davis Cup champions Spain will host Britain in the first round of the 2018 competition. Wednesday’s draw handed this year’s finalists France and Belgium, who face off in Lille in November, home ties against Netherlands and Hungary respectively, courtesy of a new rule that allows the previous year’s finalists choice of venue. Britain won the trophy in 2015 when Andy Murray led them to their first title for 79 years. Spain’s titles all came between 2000 and 2011. With the ties, which take place from Feb. 2-4, so soon after the Australian Open, it is unclear whether world number one Rafael Nadal or the man he replaced at the top of the rankings, Murray, will be available. Record title winners the United States are away to Serbia. The Fed Cup draw has this year’s finalists United States and Belarus drawn against Netherlands and Germany. The U.S. have until Oct. 4 to decide if they want home advantage.